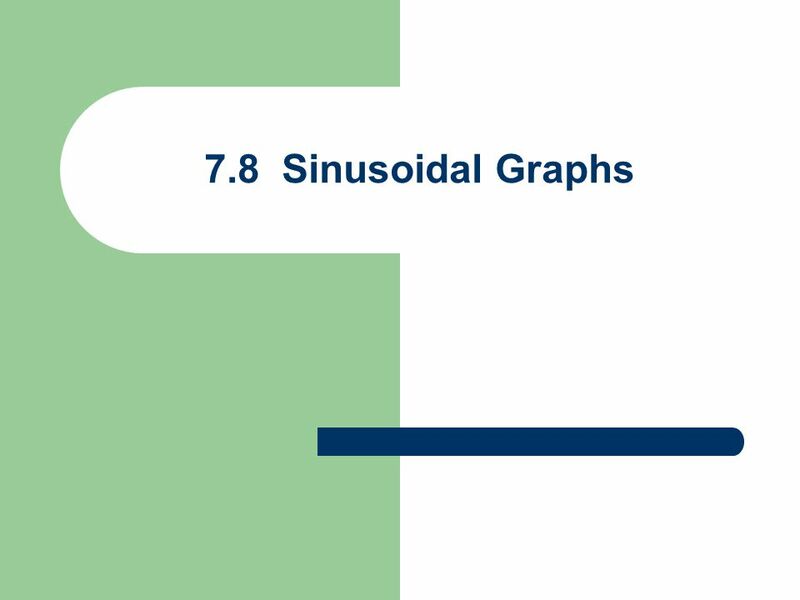 Download ppt "7.8 Sinusoidal Graphs." 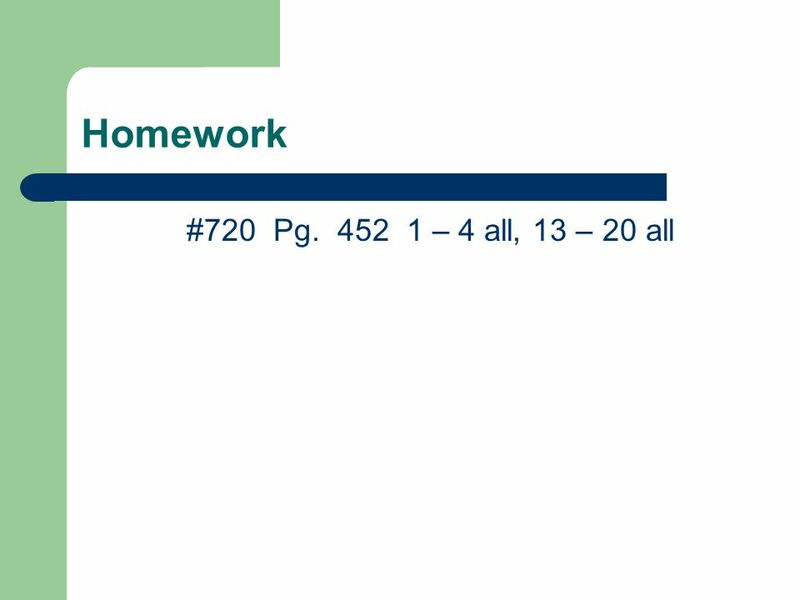 7.9 Graph of Tangent Function. 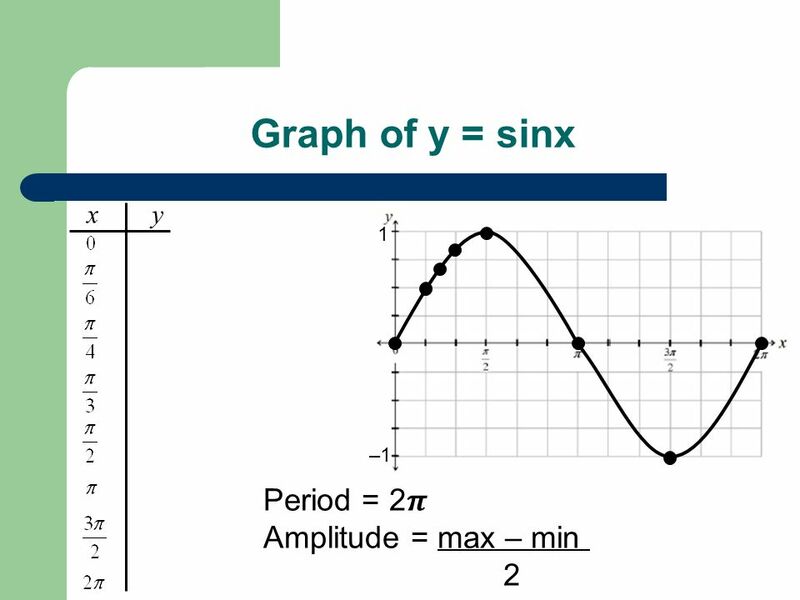 Graph of y = tanx Period = Amplitude = not defined x y 1 –1. 1 Graphs of sine and cosine curves Sections 10.1 – 10.3. 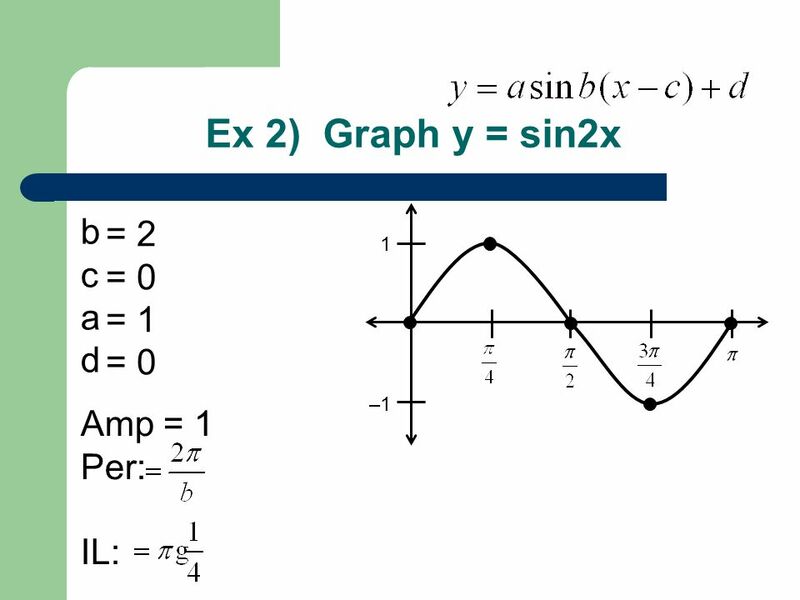 4.5 Graphs of Sine and Cosine Functions AmplitudePeriodTranslations. Notes Over 6.4 Graph Sine, Cosine Functions Notes Over 6.4 Graph Sine, Cosine, and Tangent Functions Equation of a Sine Function Amplitude Period Complete. 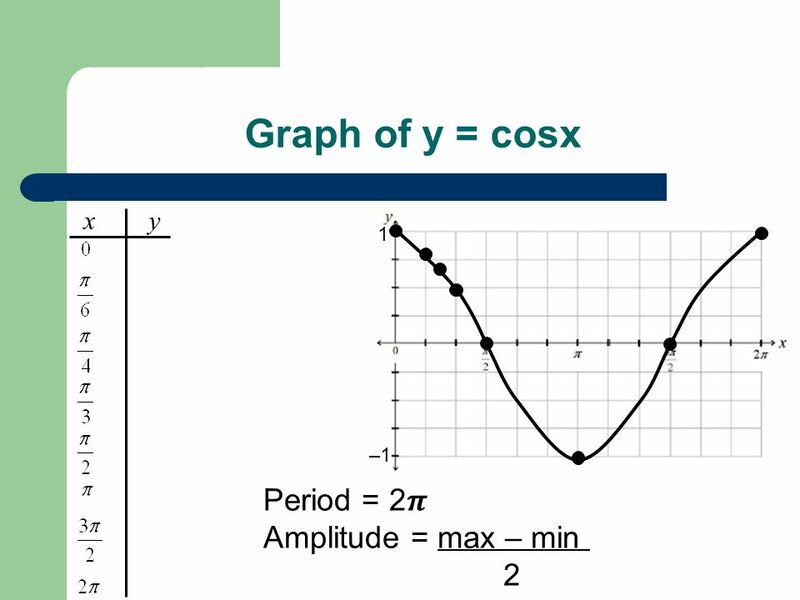 Graphs of the Sine and Cosine Functions Section 4.5. 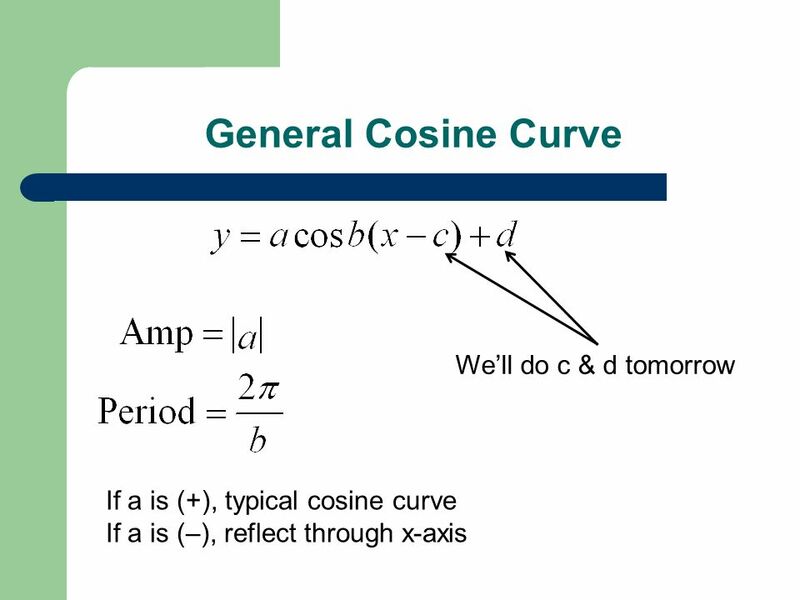 Trig – Section 4 Graphing Sine and Cosine Objectives: To graph sine and cosine curves To find amplitude, period and phase shifts. Graphing Sine and Cosine. Graphing Calculator Mode— Radians Par Simul Window— –X min = -1 –X max = 2  –X scale =  /2 Window— –Y min = -3 –Y max = 3. 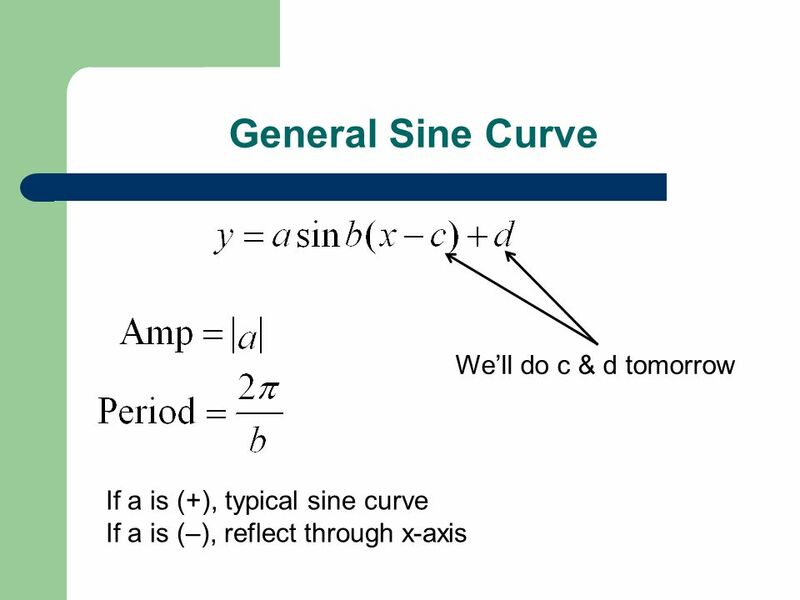 Objective Recognize and graph periodic and trigonometric sine and cosine functions. 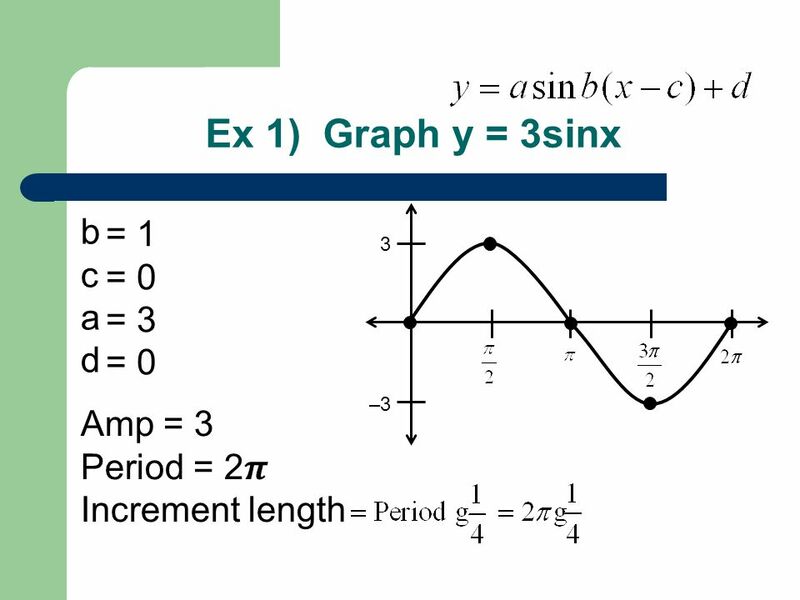 4.5 Sinusoidal Graphs Sketching and Writing Equations. 2.8 Cont. Warm-up (IN) 1. Graph Learning Objective: To fit a sinusoidal curve to a set of data. 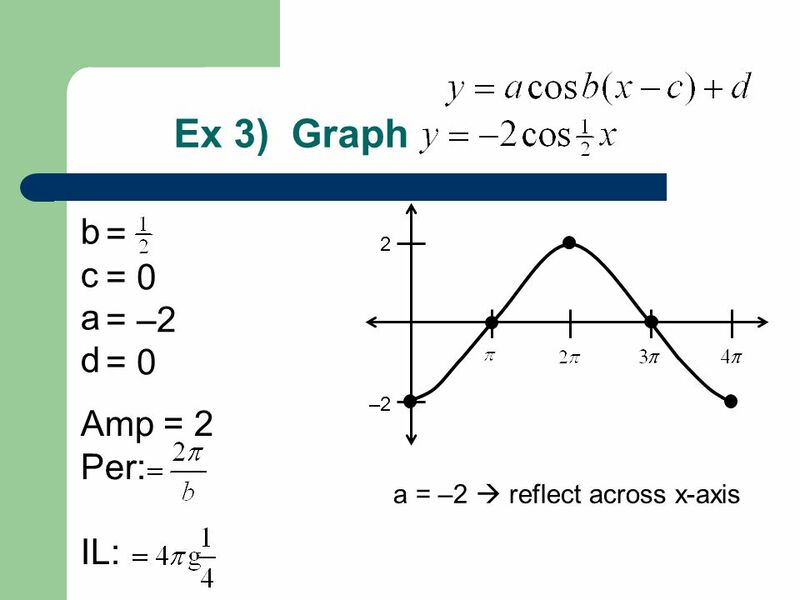 Translations of sine and cosine graphs The graph will be shifted to the right by c. The graph will be shifted up d. We already know what A and B are used.